Historically, Canada’s relationship with Quebec has been tumultuous. Spanning back to the years of colonialism, the province of Quebec has always maintained a unique position in Canada. Whether it be because of linguistic or cultural differences, it is undeniable that Quebec holds a vastly different relationship with the Canadian government than any other province. 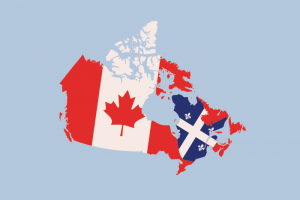 This distinct relationship that exists between Quebec and the rest of Canada is something that can be traced back to the friction between the British and French Empire in the colonial era. The English takeover of Quebec, a territory previously under French jurisdiction, heightened tensions between French and English people, and ultimately became one of the root causes of unhappiness within Quebec’s French population. This tension came to a head during the 1995 Quebec referendum, in which the Quebec population narrowly voted to remain a part of Canada. As a response to this perplexing statement made by the Quebec population, Prime Minister Jean Chrétien’s Liberal government created a “sponsorship program” in 1996. The goal of this program was to encourage Canadian values and culture in Quebec. While the program initially appeared to have good intentions, what emerged was a program riddled with corruption and dishonesty. This program became the cause of public scrutiny in 2004 when an investigation was launched by then Prime Minister Paul Martin in order to further inspect the Canadian government’s “sponsorship program” in Quebec. This investigation became formally known as “The Gomery Commission,” and revealed all the wrongdoings of the program and its misuse of power. Canadian history is filled with many instances which can be seen as important and monumental moments. We selected the Gomery Commission as our moment of impact because it covers societal aspects that we felt were important to discuss. The Gomery Commission has ties to Canada-Quebec relations, and in addition to addressing instances of corruption in the government, also allows for a better understanding of the language tensions that existed in full force before the inquiry was launched. This is an event in Canadian and Quebec history that we feel does not get the attention it deserves. This blog will therefore serve as a means to shed light on an important Canadian moment that is often overlooked. Quebec’s first referendum on sovereignty occurred on May 20, 1980 with 59.6% voting against it and 85.6% participation. 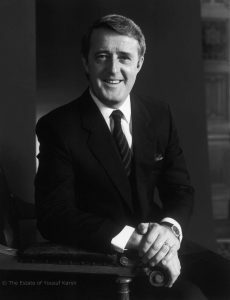 Two years after the repatriation of the Canadian Constitution in 1982, which Quebec did not agree to , Brian Mulroney of the Conservative party won federal elections, promising in his campaign to work towards integrating Quebec into the Constitution. The Parti Quebecois, led by Rene Levesque, took “le beau risque” and promoted the Conservative party to bring down the Quebec Liberals and open up the possibility of amending the Constitution. 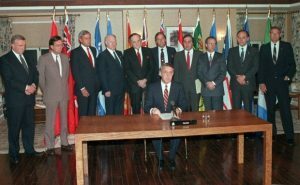 The later “Meech Lake Accord” of 1987, which was to be signed by all ten provinces and ultimately garnered the support of seven in June of 1990, was to address inclusion of Quebec in the Constitution. 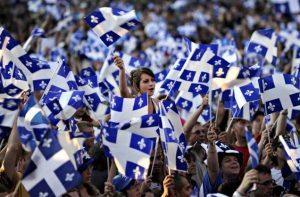 Should it have been successful, Quebec would be recognized as a “distinct society” within Canada, official bilingualism would be returned, a veto would be returned to Quebec, and additional powers would be accorded to provinces in determining Supreme Court Judges and Senators, all of which were demands by Quebec’s Premier Robert Bourrassa. The “Charlottetown Accord”, drafted on August 28, 1992, was approved by the prime minister and the provincial and territorial leaders, and would have also granted Quebec recognition as a distinct society, the capacity to elect members of the Senate, and would have ensured it at least 25% of the seats at the House of Commons. This was rejected in provincial referendums with 54.3% voting against it outside Quebec and 56.7% within. Jacques Parizeau, leader of the Parti Quebecois, won the provincial election on September 12, 1994 and promised a second referendum on sovereignty. Quebec’s second referendum occurred on October 30, 1995 with 50.6% voting against sovereignty and 93.5% participation. This close result motivated government to prioritize management of Quebec separatism. In the 1980s, under prime minister Brian Mulroney, there was a shift from past public policymaking which featured transparent decision making between public servants and outside experts, to reliance in favour of non-public expertise for policymaking in an initiative called “PS2000”. This lead to a reduction of government bureaucracy and came to be known as New Public Management (NPM). There was a cultural shift in public administration by the adoption of market culture into government, where citizens were progressively seen as “clients” and services were increasingly privatized, with the intention to improve the efficiency of public services. Consequently, the regulation of the public service was more difficult as activities were performed by private institutions. The growth of media corporations provided government with better means to communicate with its citizens and change their positions on policies. Methods used for the promotion of federalism was advertising at public fairs and exhibits, with imagery of the Canadian flag and the label “Canada” placed where visible, and the distribution of leaflets, or “service guides”, to Canadian households. By 2003, annual advertising costs amounted to 111 million dollars. The growth of government communication and the need to address Quebec’s discontent with the federal government led the path to the creation of the corrupt federal government sponsorship program in 1994. The Gomery Commission of Inquiry into the Sponsorship Program and Advertising Activities was a monumental moment in Canadian, as well as Quebec, history. This moment led people to the conclusion that “[Canada] ha[d] an immediate problem that badly need[ed] fixing”. This commission explored and exposed instances of “individual malfeasance”, as well as really got to the root of what exactly was plaguing this “sponsorship program”. As was previously mentioned, the “sponsorship program” was a direct response to the sentiments that surfaced after the 1995 Quebec Referendum. After this perplexing moment in Quebec, there was a push to increasingly promote Canadian interests and values to Quebec society. While this program appeared to have good intentions, the outcome instead resulted in a major “abuse of public trust”. The Gomery Commission was initially requested after information emerged that “alleged that hefty fees were being paid to advertising firms…that had close connections to the Liberal party”. In addition to this, there was evidence that the firms that were being given these large amounts of money “sometimes did very little work” when compared to what they were being paid. The media played a key role in publicizing these wrongdoings and raising awareness about what was going on with the government’s sponsorship program. These alleged misdeeds became so popularized that in 2004, Canadian Prime Minister Paul Martin gave in to the “enormous public pressure,” and launched an inquiry into the allegations that were being reported. Justice John H. Gomery was tasked with examining “what happened to the funds spent” over the course of the program, as well as determining “who was responsible for the mismanagement of the sponsorship program”. In addition to determining the root issues of the sponsorship program, Justice Gomery was also given the mandate to “make recommendations on how to prevent future mismanagement of government advertising activities”. The Commission lasted until 2006, and during the two years since its launch, the Commission garnered lots of different information pertaining to exactly what went wrong. Over the course of the two years in which the Gomery Commission was active, two reports were released: The Phase I Report (2005) and the Phase II Report (2006). The Phase I Report revolved around “assigning responsibility and blame for the abuse of office and misconduct” that was observed during the sponsorship program scandal. The Phase II Report instead focused on making key recommendations about “restoring accountability” and ensuring that scandals such as this one do not occur again. The reports did indeed find that there was a misuse and abuse of the power instilled in certain people by virtue of the sponsorship program. A 2003 report by the Auditor General had found evidence of abuse of power, however the Gomery Commission noted that “in many cases, the irregularities and mismanagement were clearly worse and more widespread than the Auditor General learned or imagined”.These reports changed the dynamic that previously existed between the Canadian government, provinces, and advertising firms. 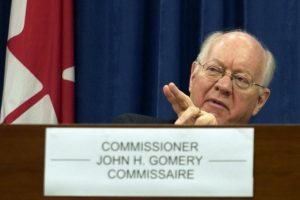 The Gomery Commission is therefore responsible for addressing a culmination of abuses of power, and remedying an issue that had been plaguing Canadian societal functioning for years. By this statement, it is evident that while the “sponsorship program” may have initially had good intentions, this notion did not translate to what was actually done. This moment in Canadian history can therefore be used as a reference for misuse of power, as well as abuse of public trust. Accordingly, three consequences were presented in the Sponsorship Scandal that made it considerable to the Canadian citizens. The first risk was that the government was misplacing their expertise to the private sector. The second risk was the lack of accountability towards the federal government because there were too many actors involved that it made it difficult to find those who were responsible. Lastly, the problem was the growing power of the Prime Minister’s Office in the Parliament while disregarding the other political parties. Moreover, Prime Minister Martin called another election as soon as Gomery’s results were out because of the pressure coming from their opposition parties. The findings of the Gomery Inquiry played a significant role in the outcome of the election because of the use of “game framing”. They presented the news with drama and conflict, instead of being objective and showing both sides of the story. “According to Cappella and Hall Jamieson, the use of the strategy or game frame can have an impact on the public’s cynicism about politicians.” Additionally, the Gomery Commission exposed all the misconducts of the government, but they did not focus on the solutions that the political parties would take. The Commission gave many suggestions for improvement, but it does not necessarily require them to follow it which enhanced the mistrust towards the politicians. Also, the Sponsorship scandal is an important moment in Canada because it had a huge impact on the January 23, 2006 election. The Liberals lost for the first time in twelve years to the Conservatives. 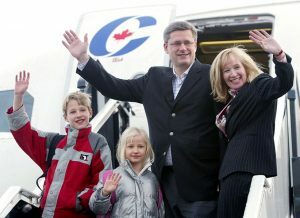 As a result, the Conservative Party was able to gain ten seats in Quebec; thus the new Prime Minister, Stephen Harper, declared that the scandal under the Liberal government caused “enormous damage … to the image of federalism”. Many Quebecois did not want to vote for the liberals because the scandal had affected their perception of them as a reliable and dependable government. All in all, the sponsorship program and the politicized communication will continue to exist in the future in various forms within the political game frame. According to Kozolanka, it is impossible for them to eliminate the government’s dependence on strategic communication. In conclusion, the Gomery Commission is significant because of its relevance with Quebec’s desire for sovereignty and Canada’s response, and because of its role in reforming government in light of the use of public funds for partisan goals. The release of the Commissioner Gomery’s reports in 2006 has provided the foundation for public mistrust of the Liberal Party and the federal government more generally and pointed out the failings of government accountability measures and required solutions. The sponsorship scandal was costly to the Liberal Party, in that following Gomery’s reports, former Liberals were feeling the heat of the scandal, such as David Dingwall, who was forced to resign from his position at the top of the Royal Canadian Mint, and his resignation may serve to further emphasize the extent of citizens’ discontent with the Liberal Party’s actions. An investigation of the consequences of the Gomery Commission following the 2006 election can be made, possibly in terms of how the voter base changed for the Conservatives, the New Democratic Party of Quebec and the Parti Quebecois, as well as the manner in which Gomery’s proposed solutions were carried out by the Harper Government. Yale, F., & Durand, C. (2011). What Did Quebeckers Want? Impact of Question Wording, Constitutional Proposal and Context on Support for Sovereignty, 1976-2008. The American Review of Canadian Studies, 41(3), 242. Savage, L. (2007). Organized Labour and Constitutional Reform under Mulroney. Labour, (60), 143. Kozolanka, K. (2006). The Sponsorship Scandal as Communication: The Rise of Politicized and Strategic Communications in the Federal Government. Canadian Journal of Communication, 31(2), 346. Hodgetts, J.E. 2007. “Royal Commissions and Public-Service Reform: Personal reflections”. Canadian Public Administration. 50 (4): 533..
 Thomas S. Axworthy. “The Responsibility Crisis in Canada.” Canadian Parliamentary Review (2005), 8. Ian Greene & David Shugarman. “Commission of Inquiry into the Sponsorship Program and Advertising Activities, Phase I Report and Phase II Report.” Canadian Public Administration (2006), 220. Ian Greene & David Shugarman. “Commission of Inquiry into the Sponsorship Program and Advertising Activities, Phase I Report and Phase II Report.” 221. CBC News Online. 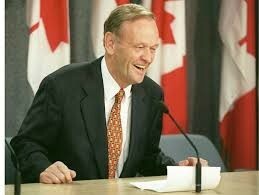 “Gomery Inquiry: Jean Chrétien: A Former PM Testifies.” CBCnews. February 8, 2005. Accessed April 05, 2018. http://www.cbc.ca/news2/background/groupaction/chretien_statement.html. English Canadian newspapers,” York University, n.d.
 Kirsten Kozolanka, “The Sponsorship Scandal as Communication: The Rise of Politicized and Strategic Communications in the Federal Government,” Canadian Journal of Communication 31, n. 11 (2006). Shannon Sampert, “All Things Gomery: The use of the strategic frame in the coverage of Gomery in English Canadian newspapers,” York University, n.d.
 “Federal Sponsorship Scandal,” 2006, CBCnews, CBC/Radio Canada. “Dingwall Receives $417,780 in Severance for Mint Ouster”, CBC News, February 4, 2006, http://www.cbc.ca/news/canada/dingwall-receives-417-780-in-severance-for-mint-ouster-1.608068. Published by owenbrown on April 6, 2018 at 12:52 am under Uncategorized.